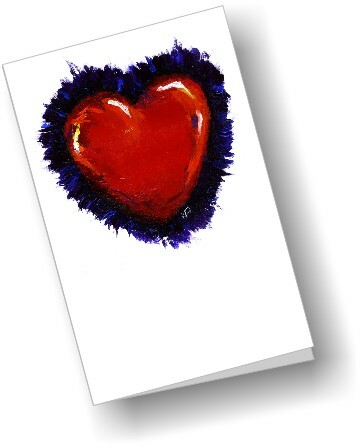 I don't know how I like this one, but on the suggestion of some friends with whom I work, I've painted a heart card. My son thinks it's cool, which is encouraging. But a good friend of mine who's known me for years says that it's not "my voice." And she's right. It wouldn't have occurred to me to paint this. But my goal is to be successful, and so I'm open to suggestions. Plus, it was fun to do. Very free-form and emotive. And I got to weave a couple of words into the painting itself. I did think about adding text to the bottom of it, like I did with Giggle, but have decided against it. Last night, I attended an art auction, which will change the direction of my art just a bit. I bought a 24" x 36" canvas today, and this week I'll attack it. I have a street market scene that I'll paint for it, and I'll have fun with the colors and big brushes. I watched art prints go for $1,000 and such, and it was not only educational to see what people chose, but also to watch the auction process and how they kept the bidders involved and engaged. Much thanks to Annette for the suggestion and the invite! It allows the cost to control the flow of requests. It gives me a portfolio of larger works. If I get no commissions, then no problem, I'll continue to paint as I have. But if I do get commissions, then I'm able to build that body of work and perhaps try getting my work into a gallery. And with the work that I've built to date, I can show that I'm capable of doing commissioned work to a degree of realism that's representative, and, I think, flattering to the subject. Because it's about getting my name out there. Through as many channels as possible. Facets are a good thing. The cards are a good approach, and unique, and so that will serve to push my name out there to folks in a way that I would normally not reach people and that other artists don't reach people. 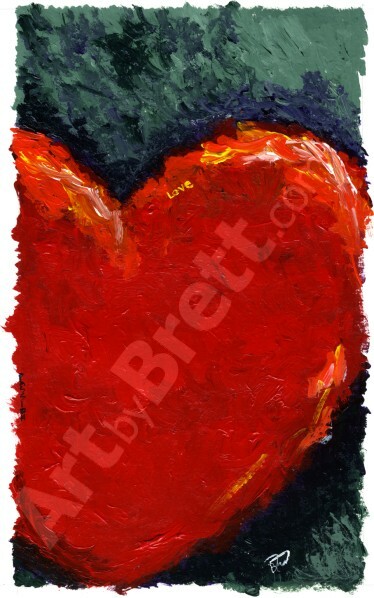 But to sell my work through private commissions and through galleries can only expand my opportunities. Duh. Of course. I should have thought of this before now. The goal is to make a living by painting. Does it matter the path? As long as I don't lose myself in the process, no, it doesn't matter. Whatever most quickly succeeds is best. I love learning. Life is so cool.